Family Day is around the corner and for families living in Hamilton Halton Brant, there are plenty of fun activities to enjoy both indoors and outdoors as well. With a wide range of programming, families can enjoy easy and affordable Family Day fun that will surely keep everyone happy. 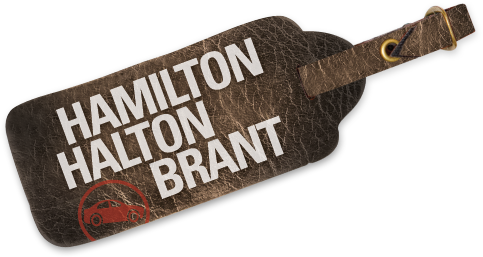 Here are three itineraries costing $100 or less to give you an idea of some of the activities waiting for you and your family in Hamilton Halton Brant during the long weekend. The Royal Botanical Gardens’ Battle of the Titans exhibit - Dinosaur lovers rejoice! See Tyrannosaurus Rex take on Triceratops and learn about the ecology and the environment that these majestic creatures lived through. On February 17 and 18, join in on a Q&A period with Dr. Phil Manning, internationally renowned dinosaur hunter from the University of Manchester. Admission for a family of four: $30. Next, bring your appetite and your little ones to downtown Burlington to explore the city’s delectable Chocolate Trail. Enjoy a self-guided trail along with samples of decadent treats and special offers at 13 different retailers. Finally, stop by the Burlington Performing Arts Centre’s Sing-a-long Sound of Music extravaganza on February 18th for a fun-filled interactive screening of the classic movie. Grand total: $100 for a family of four (excludes taxes). Enjoy horse-drawn sleigh and wagon rides at Mountsberg Conservation Area’s Tales by a Winter Fire program on Family Day weekend. Also, take the kids tobogganing or hiking then warm up next to an outdoor bonfire. Visit Brantford’s Frosty Fest on Family Day weekend, which will feature ice carving, horse-drawn trolley rides, figure skating shows, a street midway, free skating, pony rides, free Kids Zone games and fun winter fare. While in Brantford, learn about Alexander Graham Bell at the Bell Homestead National Historic Site and discover how he came to invent the telephone at his parent's home. You can also try out older versions of telephones, too. Attend the Family Day Classic Comedies event at Whitehern Historic House and Garden. Take a tour of the McQuesten home as it was in 1939 then visit the renovated Stable to enjoy short comedy classic films such as The Little Rascals, The Three Stooges, and Laurel and Hardy. Try a new winter sport at Crawford Lake Conservation Area’s Snowflakes and Snowsnakes event on Family Day weekend. The festivities include snowshoeing demonstrations and Snowsnake, a traditional Iroquoian winter game as well as winter survival hikes, Hemlock tea tasting, marshmallow roasts, craft making and more. For some hands-on fun, visit the Hamilton Museum of Steam and Technology for Family Fun Day on February 18. Children ages six and up can use building blocks to create their own machines and buildings. For more trip ideas, event information and special offers to help plan your Family Day adventure, be sure to visit www.theheartofontario.com. Sounds like fun! I love that there are a variety of activities! Perfect!